Did you miss Apple’s most important product launch since the iPad? The moment Apple announced that the rumours were true and it was ditching the headphone jack in favour of wireless AirPods, it ignited a touchpaper, setting fire to the internet. People were quick to share their righteous indignation, rank disbelief and, inevitably, a lot of jokes about what a bad idea this is and how everyone would lose the pricey earpieces as soon as they got them out of the box. What’s been missed is the AirPod is much more than a wireless headphone – it’s two intelligent computers connected directly to your ears. 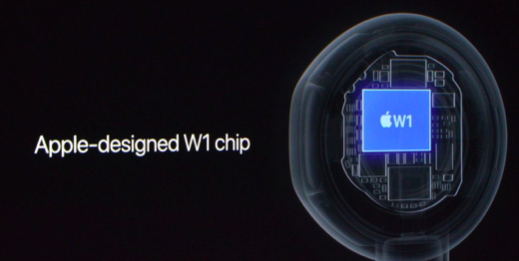 Apple have not been clear about what’s under the hood of the new W1 chip but I’m guessing it’s got a few tricks we haven’t seen yet. Just one example, it’s a class 1 Bluetooth device. Class 1 gives each AirPod a range of 100 meters compared to traditional wireless headphone range of 10 meters, which is pretty remarkable given the power restrictions. I’m sure Apple have plenty of ideas how they are going to use those extra 90 meters. AirPods and W1 have the potential to bypass the iPhone/Apple Watch directly, making each AirPod not an accessory, but Apple’s latest device in their own right. Like HomeKit, this is a solid play by Apple to be the IoT orchestrator of the connected home and world. Not to mention that by pushing customers towards wireless headphones by removing the standard 3.5mm port, the AirPod (or other Bluetooth headphones) will force users to have Bluetooth switched on, which up until now was the killer of any project, IoT or otherwise, that required the context of micro-location provided by Bluetooth beacons. What’s also been overlooked by the Twittersphere in their haste to jump on the latest tech opinion bandwagon was that Apple has actually done something pretty significant here. Getting rid of the wires isn’t just a gimmick – it’s the next step towards a ‘Voice First’ paradigm shift. A new way of working with technology which exploits recent advances in AI, where audio and voice become the next user interface. As it launches in the UK for the first time, the unexpected success of Amazon’s Echo (which has surprised even Amazon) proves the appetite is there, but overall consumer awareness is still niche. Siri has, in effect, been in Beta for 5 years – unable to communicate with the huge ecosystem of apps that has been the core strength of iOS and the defining tech trend of the last 8 years, it was simply not very useful to the average user. This false start has meant, for most consumers, voice has not been seen as a viable way to interact with their computers. 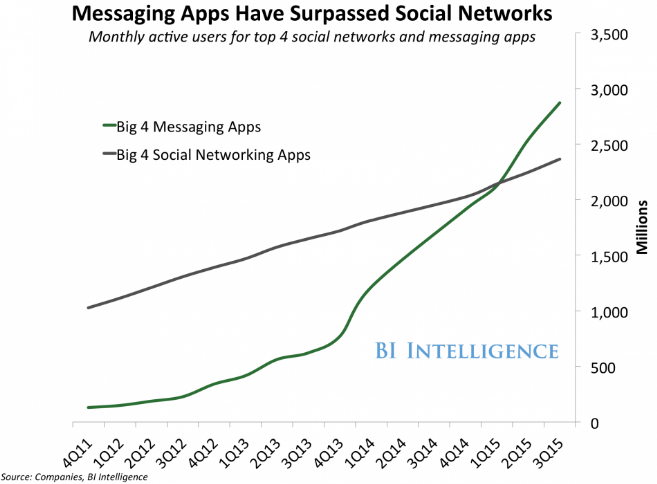 Instead, text is where the battleground is now: specifically in chat, with messaging apps now bigger than social. With chatbots currently squarely in the middle of a hype curve, there is a gold rush on for developers and brands to build them; the first generation, like apps before them, are clumsy and clunky – but they will evolve. We are still a long way off HAL 9000, but idiot savants bots are coming: intelligent assistants that are very good at a particular task. At Red Ant, we’ve spent two years building these for our clients, and soon each brand or service could have their own bot to help customers reach their goals, either within a chat client or the brand app. As each technology begets the next, advanced recognition means the ability to recognise freeform text is no different to voice input – it’s easy to see how the stage is set. With the convergence of bot personal assistants, connected home technology, IoT and self-driving cars, there is a real need for a single interface to harmonise these technologies and Apple may have just launched it. With the convergence of bot personal assistants, connected home technology, IoT and self-driving cars, there is a real need for a single interface to harmonise these technologies. The frictionless, ever present, hands-free nature of voice and audio make it the only real candidate. Within that context, I think Apple’s move to make Siri omnipresent through the AirPod starts to make sense. Indeed, it’s already happening: With iOS 10, Siri is finally able to connect directly to apps, meaning it can send a WhatsApp, call you an Uber, or any one of millions of other useful things apps can do for you. Although many will focus on the first take on what AirPods mean, the long view is quite fascinating. Apple have a history of making niche tech ubiquitous, if that happens AirPod will indeed be one of their most important device launches, the first move away from our visual interface dependence.